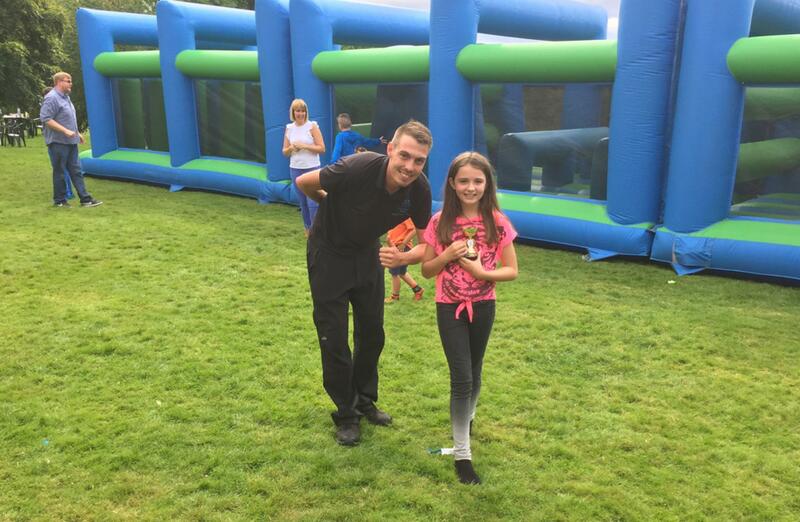 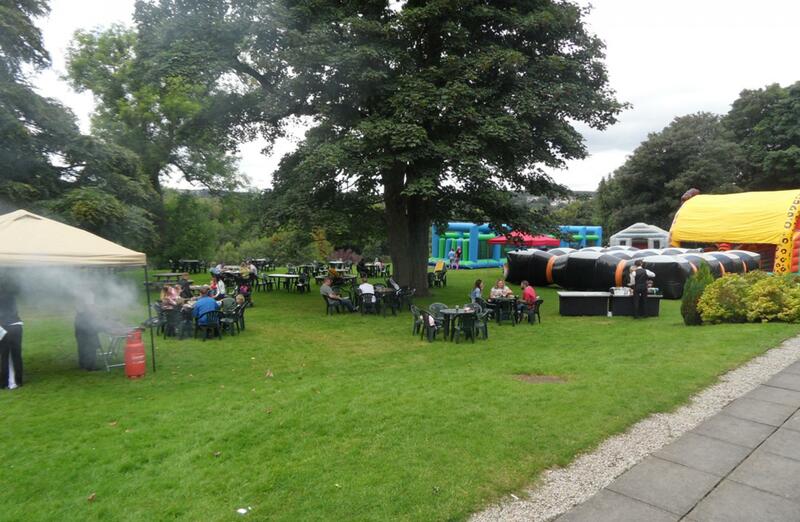 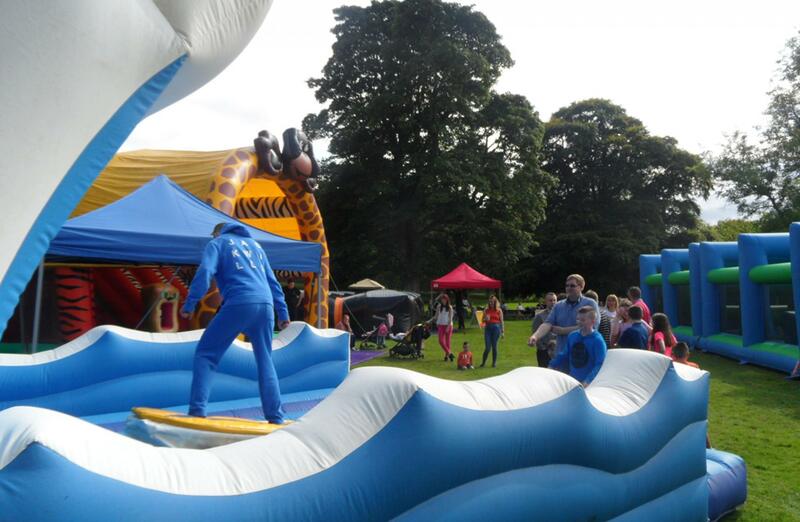 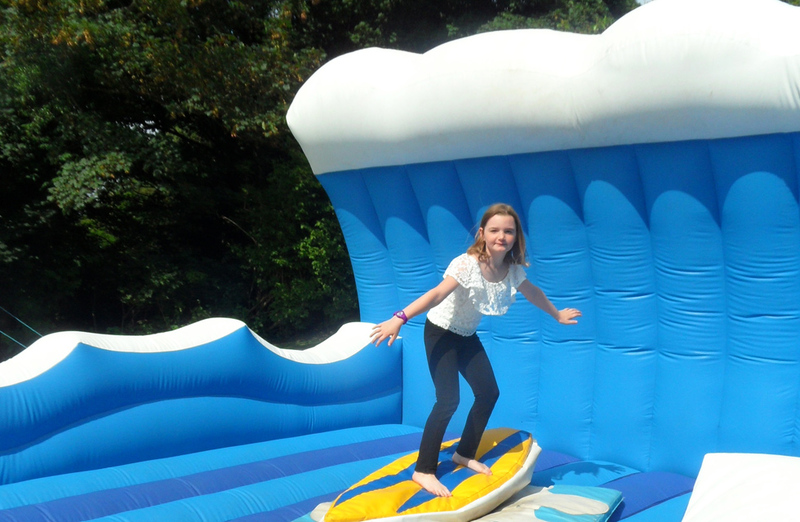 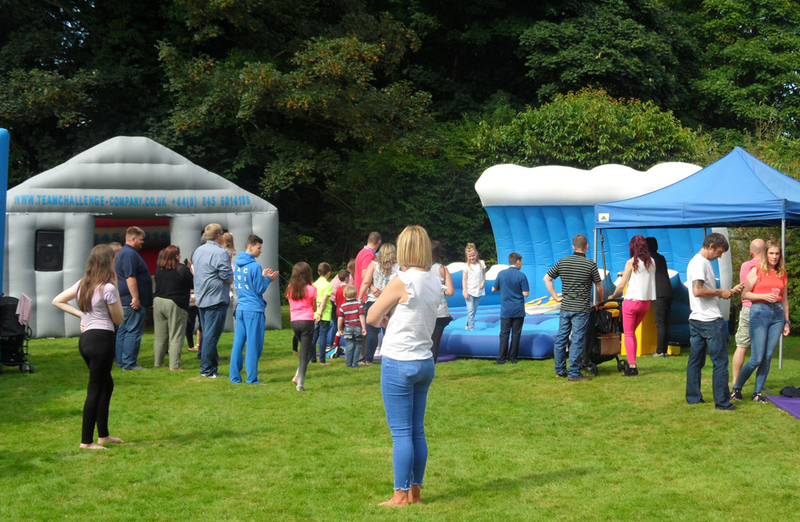 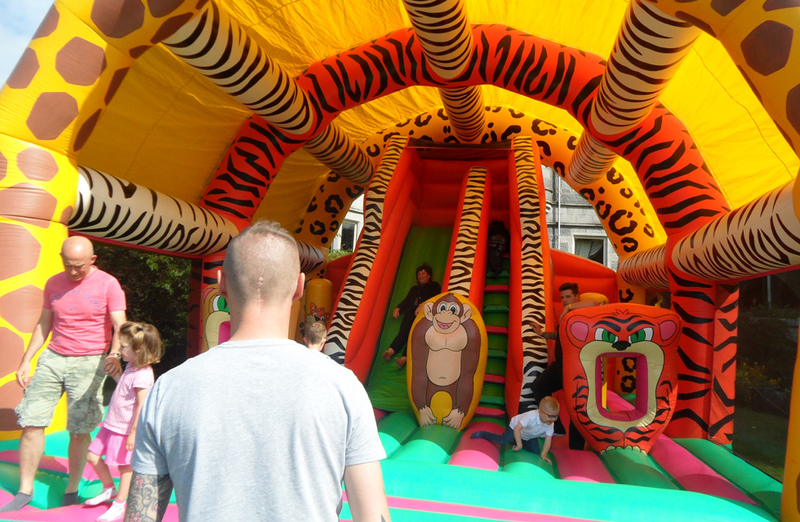 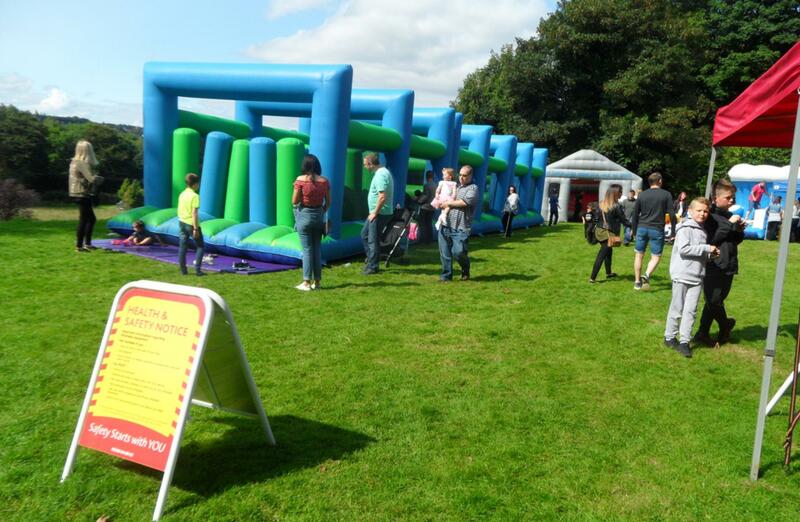 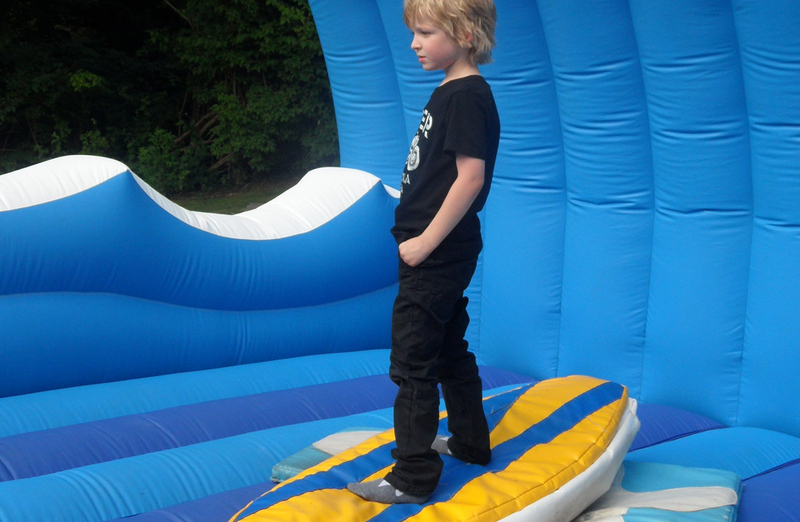 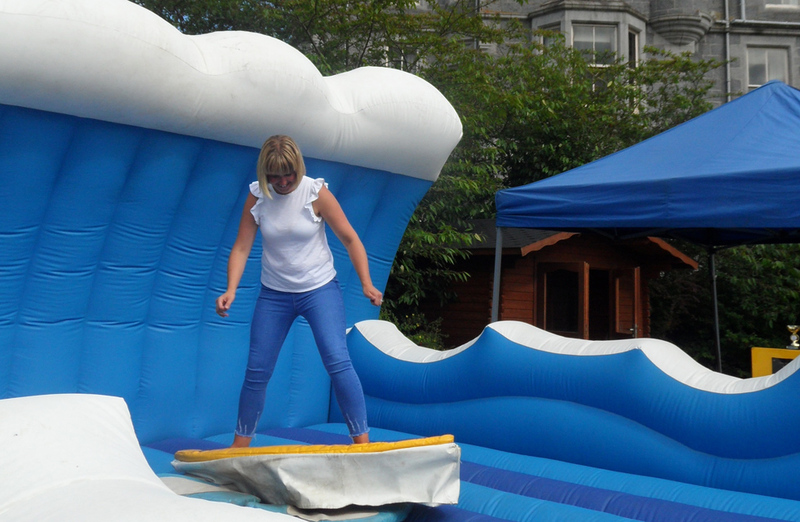 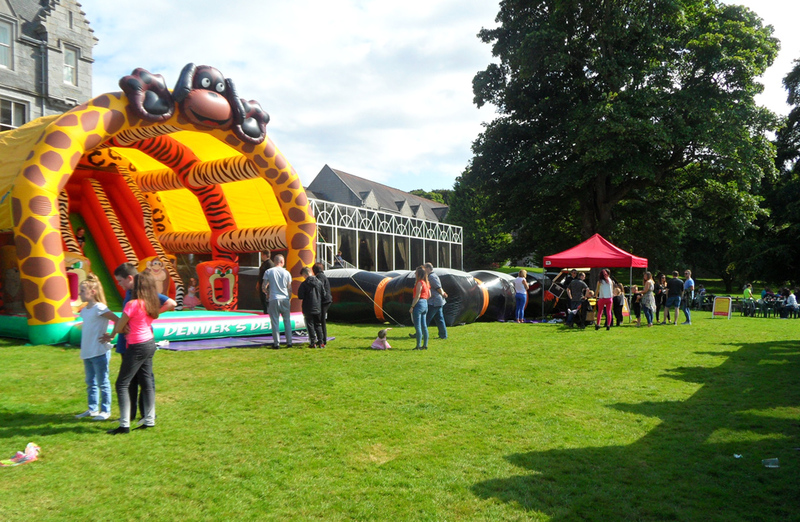 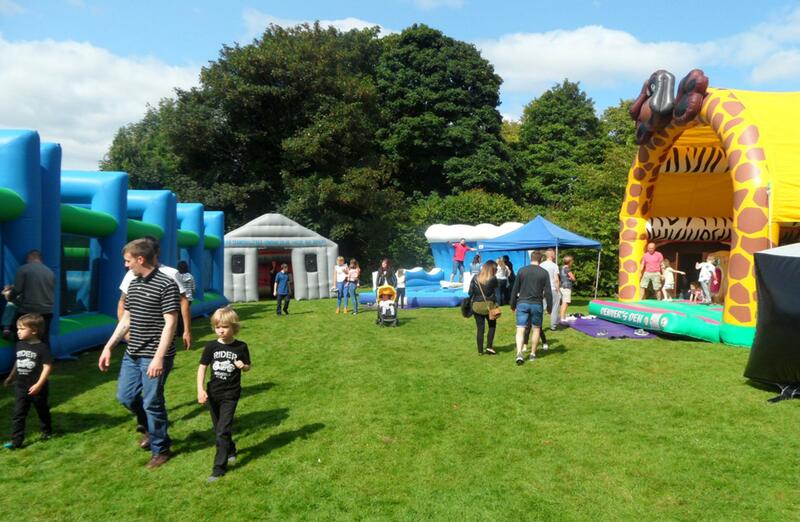 The sun was shining for another amazing Corporate Fun Day for the family and friends of everyone at TWMA. 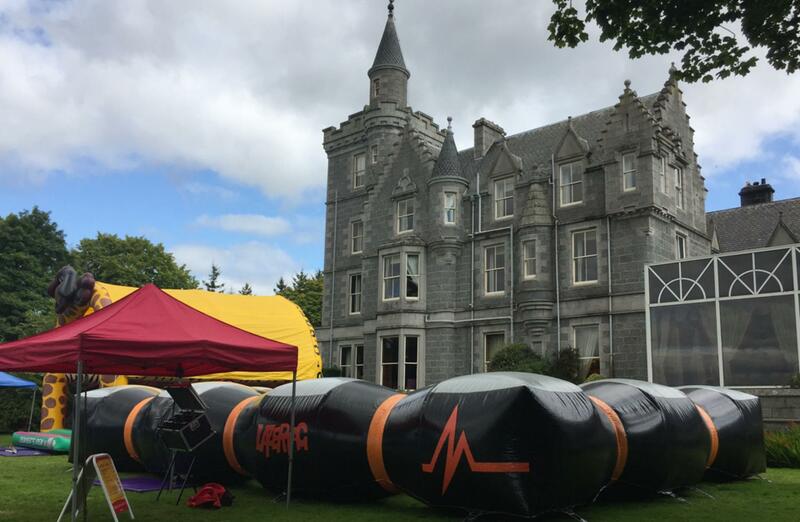 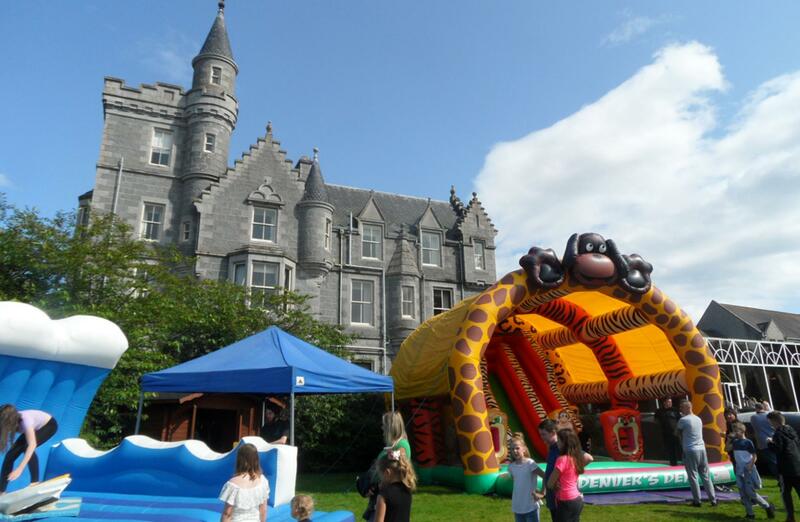 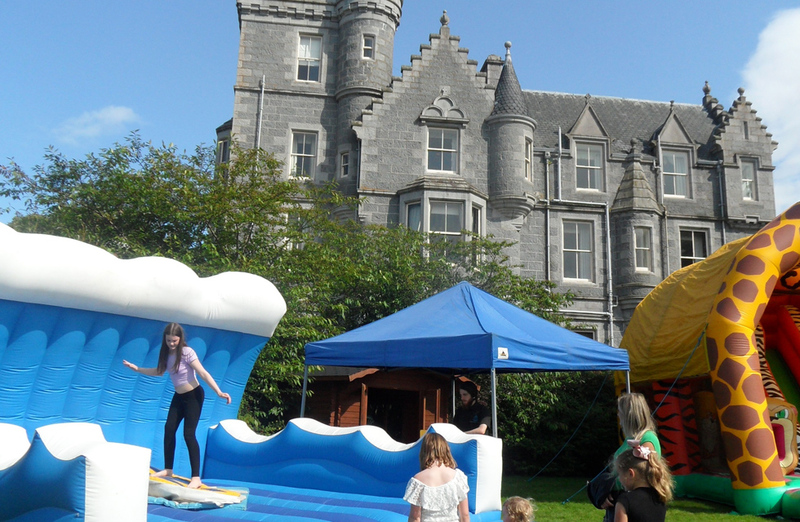 Team Challenge Company had the pleasure of hosting this great event in the beautiful grounds of Ardoe House Hotel, Aberdeen and thankfully, the sun was shining down on us all as the guests started to arrive. 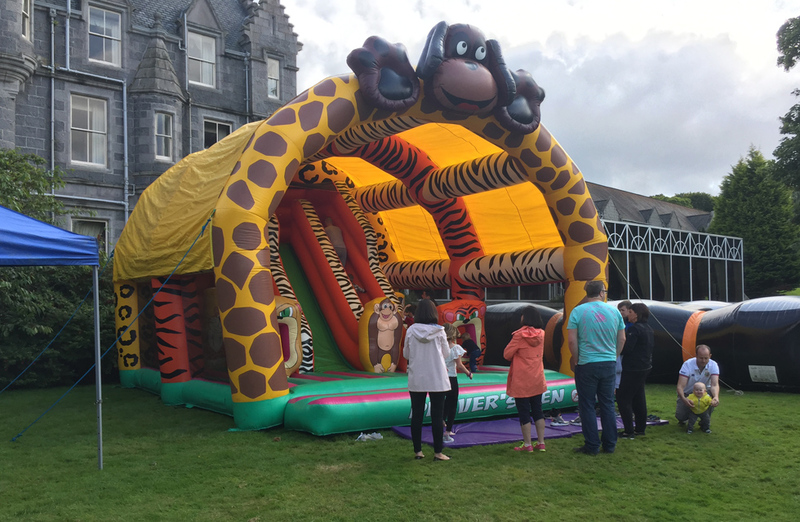 We kicked off the celebrations and fun with some energetic and welcoming music to get children and adults, a like hyped up for all the fun inflatables, activities and races that we had in store for them throughout the afternoon. 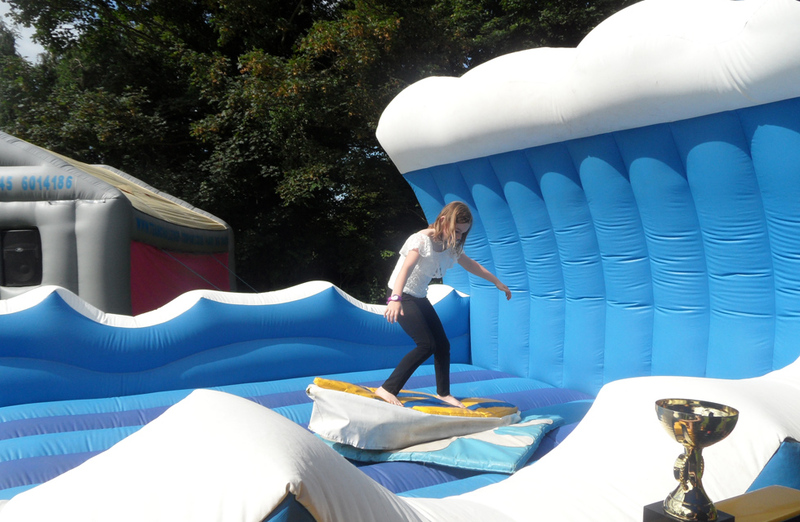 Thank goodness, the sun was shining as there were plenty of people falling in the water as they struggled to master the ever so popular Surf Simulator. 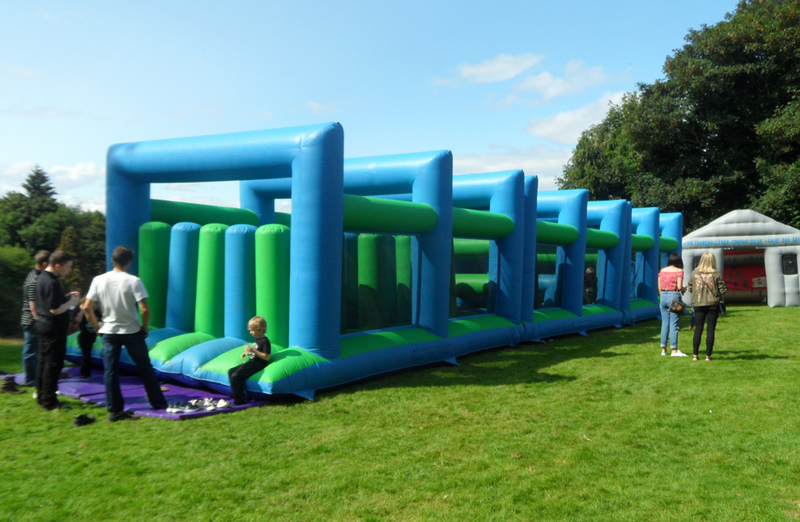 Adults only managed to keep up right for a few seconds while the children, well and truly out lasted them at over a minute! 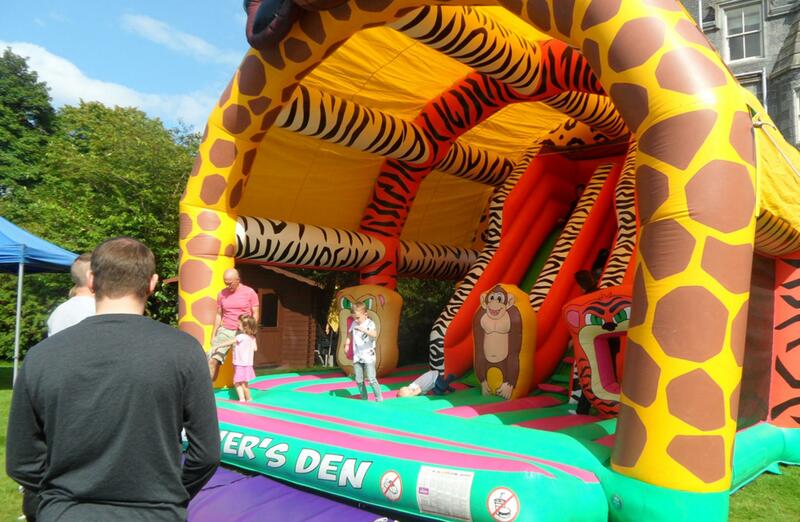 Over at our giant inflatable, fun zoo, Denver’s Den was popular with the little ones, but we also couldn’t keep the adults off as they were reliving their childhood – some even more misbehaved than the children. 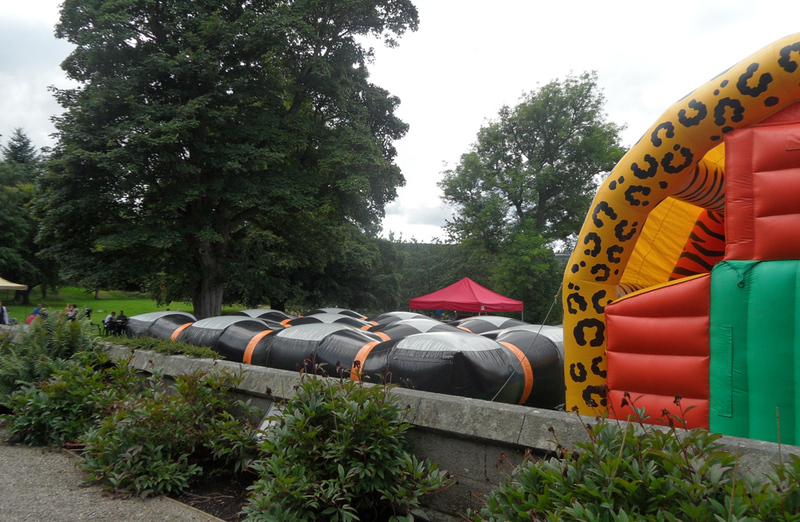 The lovely BBQ smell crossed the grounds at Ardoe House Hotel as they put on an amazing spread for the guests. 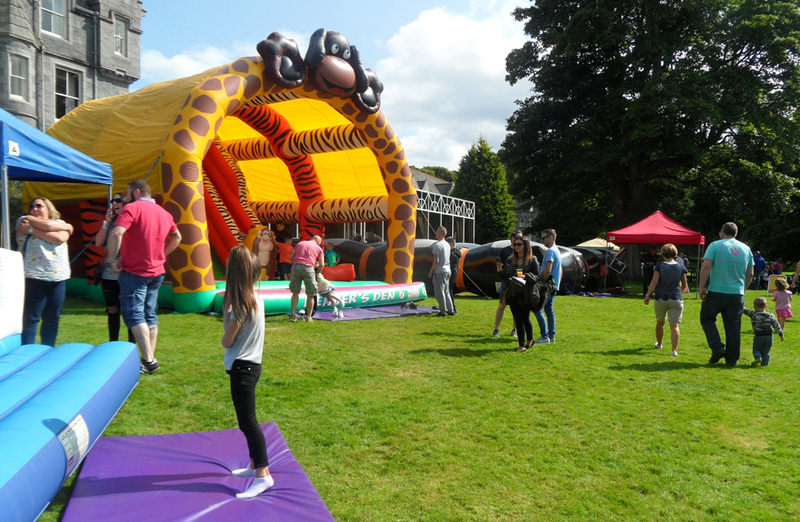 Crowds disappeared for their energy boost to get them set and ready for the afternoon competitions, it didn’t take long for the crowds to reassemble and get straight back to the fun. 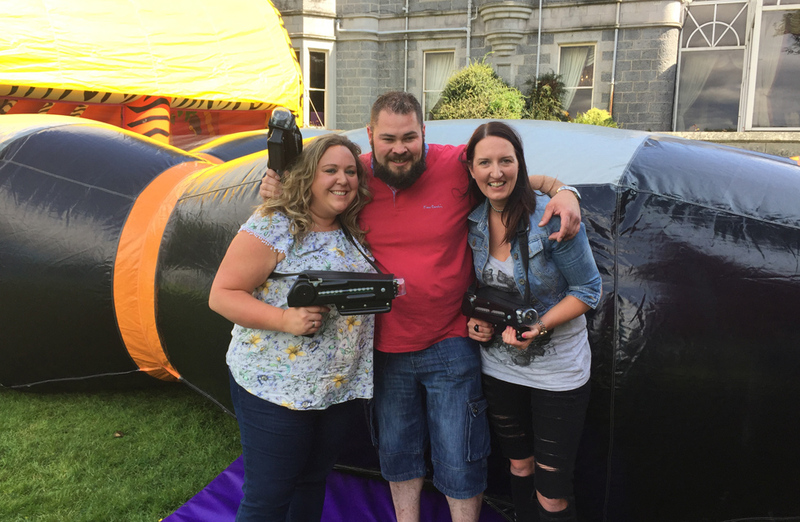 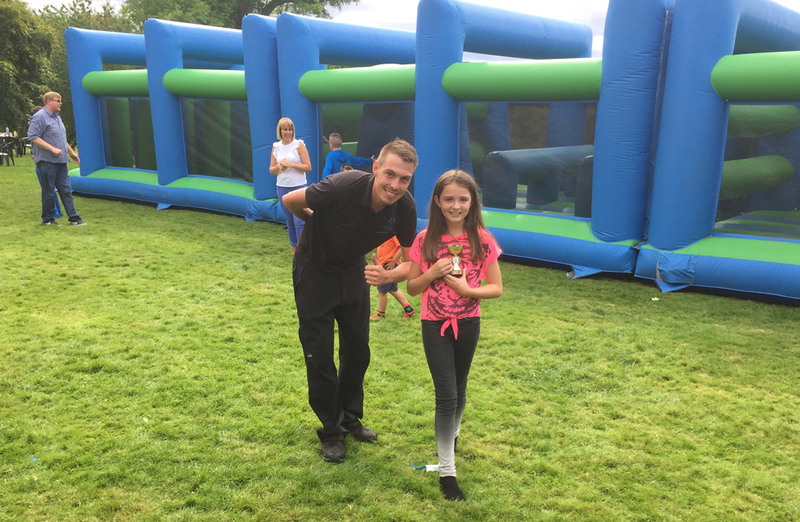 Whilst the adults enjoyed a drink or two the kids got stuck right in to the giant Laser Tag maze, ten at a time sprinting, diving and dashing around the inflatable labyrinth, to see who could shoot their way to glory with the laser guns. Over at the Gauntlet Assault course the races were really heating up seeing some record times shattered by the young ones and some very out of breath adults falling off the end of the massive three piece course. 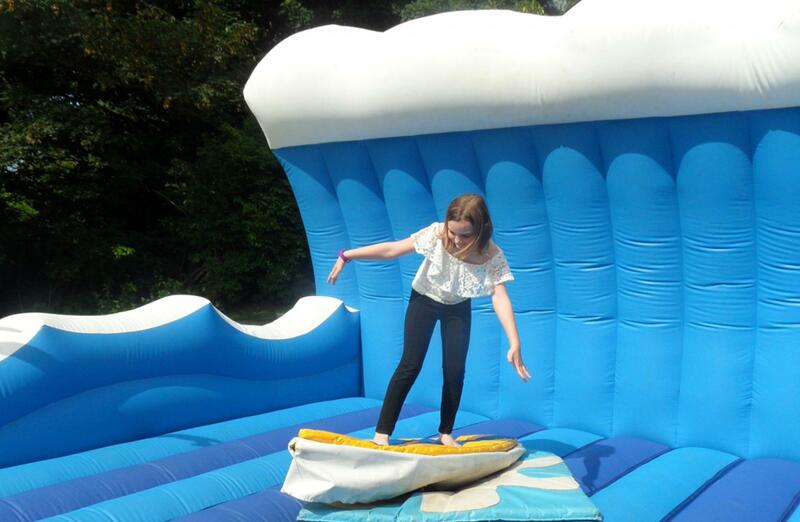 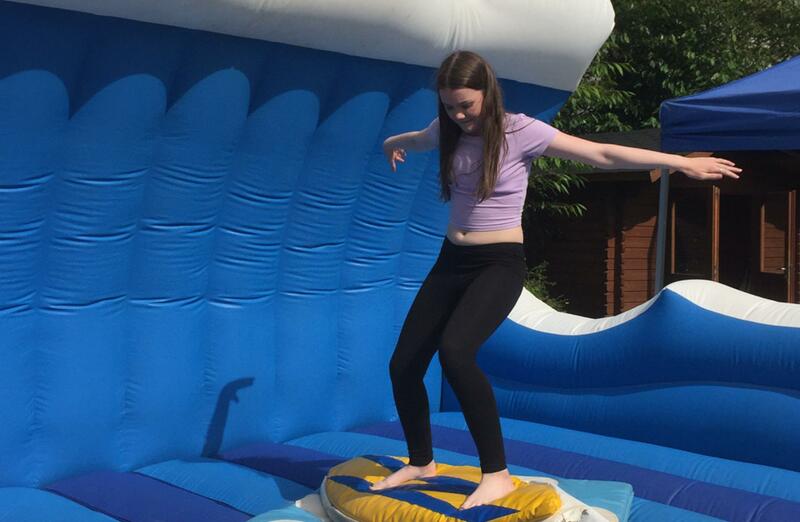 We delved into to an intense competition on the Surf Simulator with some fairly decent times, but with a whopping 70 seconds it was Shannon that took home the much sort after Team Challenge Company trophy. 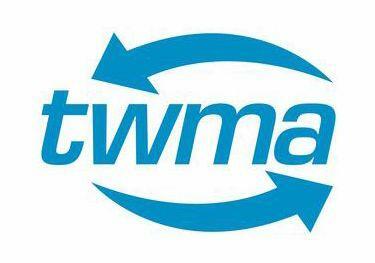 The whole day was a great success, and it was an absolute pleasure to meet all the friends and family of TWMA and hope that we can all get together and do it again. 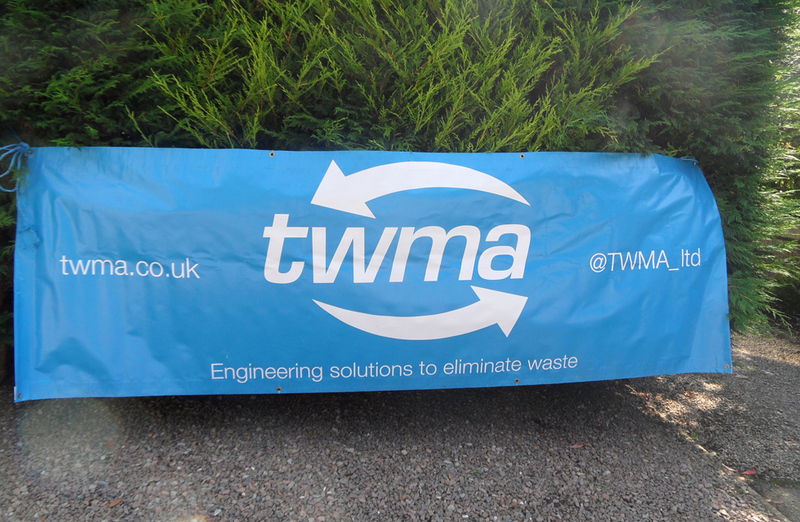 Brilliant day once again at Ardoe House with the team from TWMA. 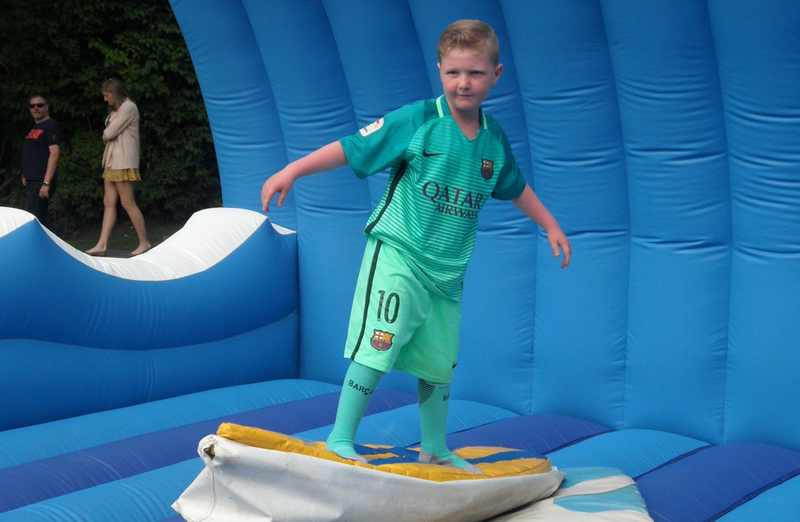 Sun shine was an added bonus! 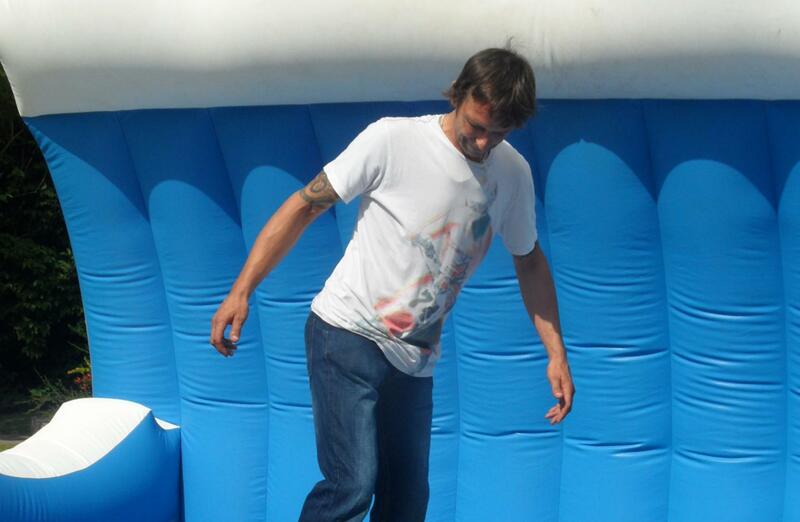 Hope to work with you all again in the future.